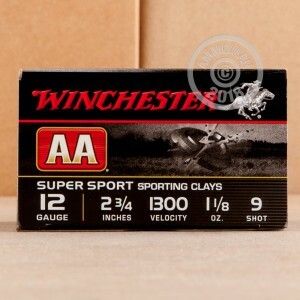 This is 12 Gauge #9 Shot AA from Winchester's Sport Clay line. 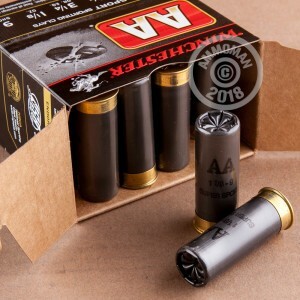 These Sport Clay shells feature Winchester's AA shot that utilizes premium primers and power resulting in a tighter shot pattern and more target hits! They fire at a velocity of 1300 feet per second and are loaded with a 1-1/8 oz. payload. Grab a case of these before your next course outing. 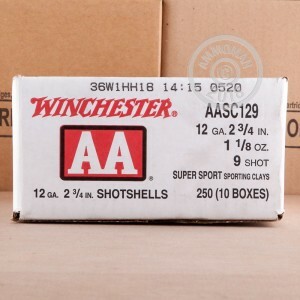 You can count on high quality and reliable ammunition anytime you purchase a box of Winchester rounds. They've been offering a great product to all shooters for over 140 years! Take advantage of Free Shipping from AmmoMan.com on all orders over $99!